For National Federations and Teams there is great pride in their squads performance and results, a true comparison to how one nation performs against the others. We very much enjoy working with the very best players of the respective nations, and help the Federation coaches guarantee their squads results. We can work with Federations and Teams on a data providing capacity (we capture all data allowing the Federation Coaches to Interpret and design programmes for their players as they see fit) or a data providing and coaching capacity (we capture all data and work with the Federation Coaches and Players to create the squad members programmes). K-Vest 6D and 3D Biomechanical Analysis. 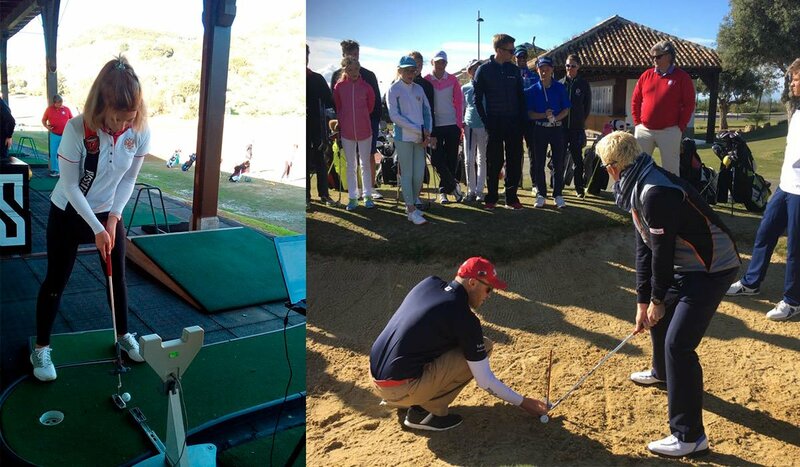 All JFGA coaches are available to offer their suggestions and should it be required, set up Bio-feedback sessions, allowing Federation Coaches to work with the player with the assurance that the specific drill is being performed correctly. Physical Therapy, body analysis and treatment is also an option with our Body Specialists (Chiropractors, Osteopaths, Physios, etc) Gym and Physical Sessions can be organised with our Strength and Conditioning coach also. For more information about our National Federation and Team Training options, please contact us.